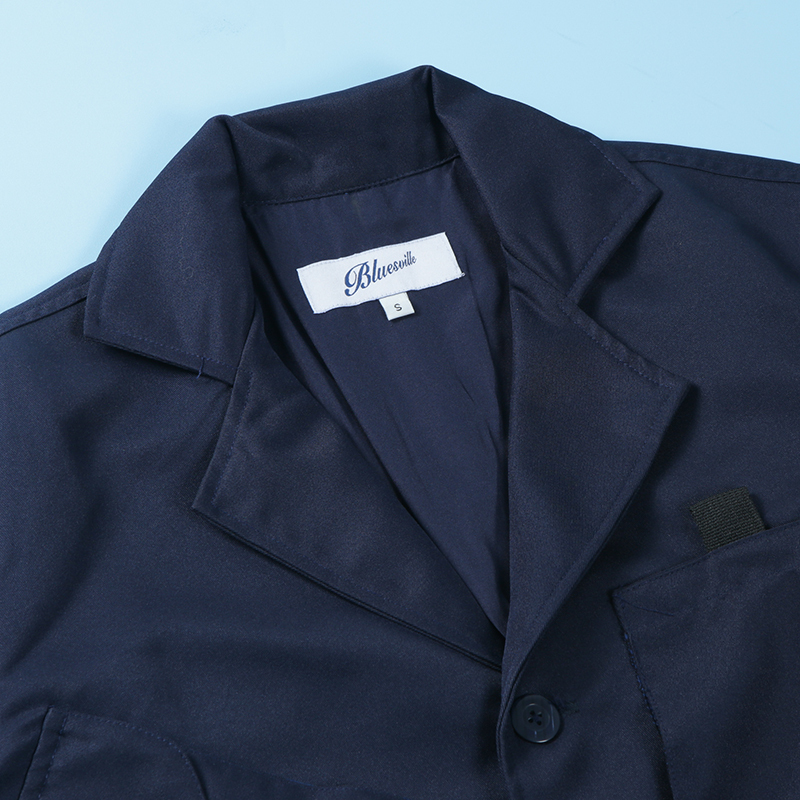 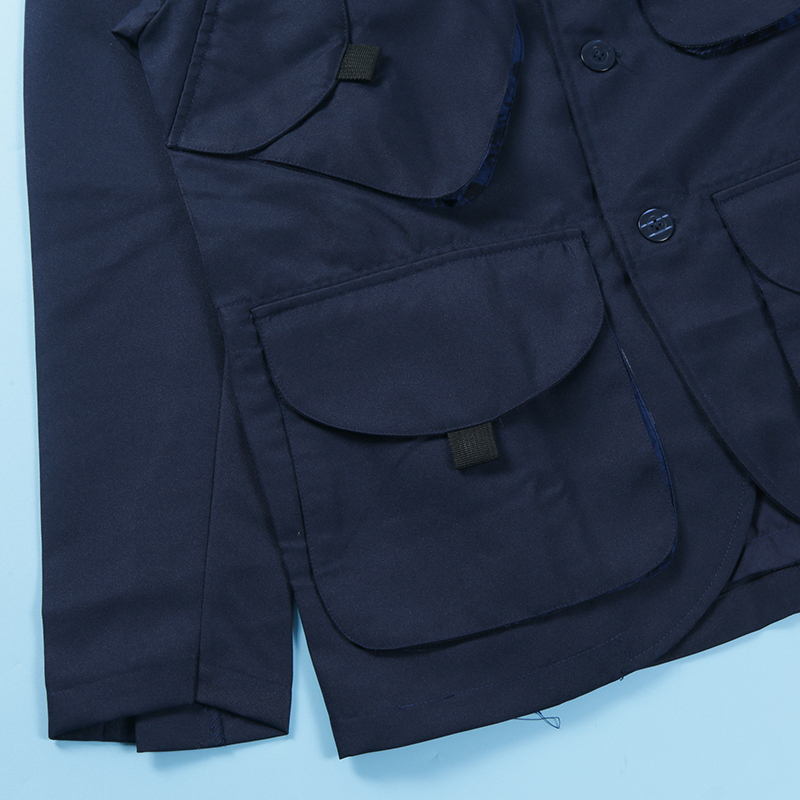 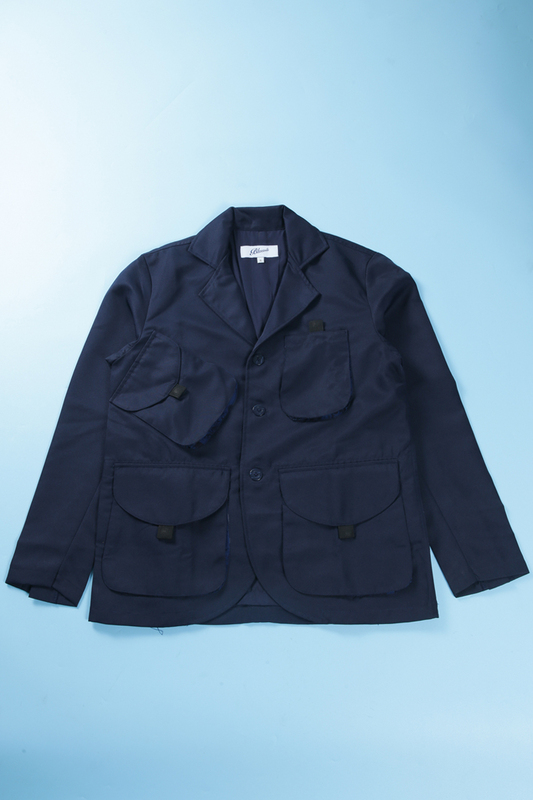 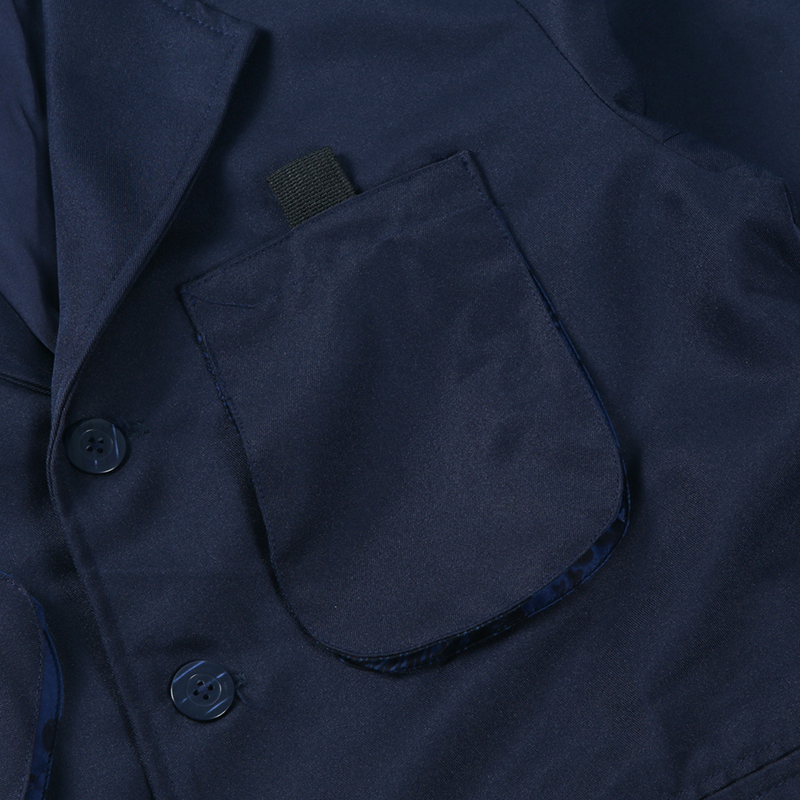 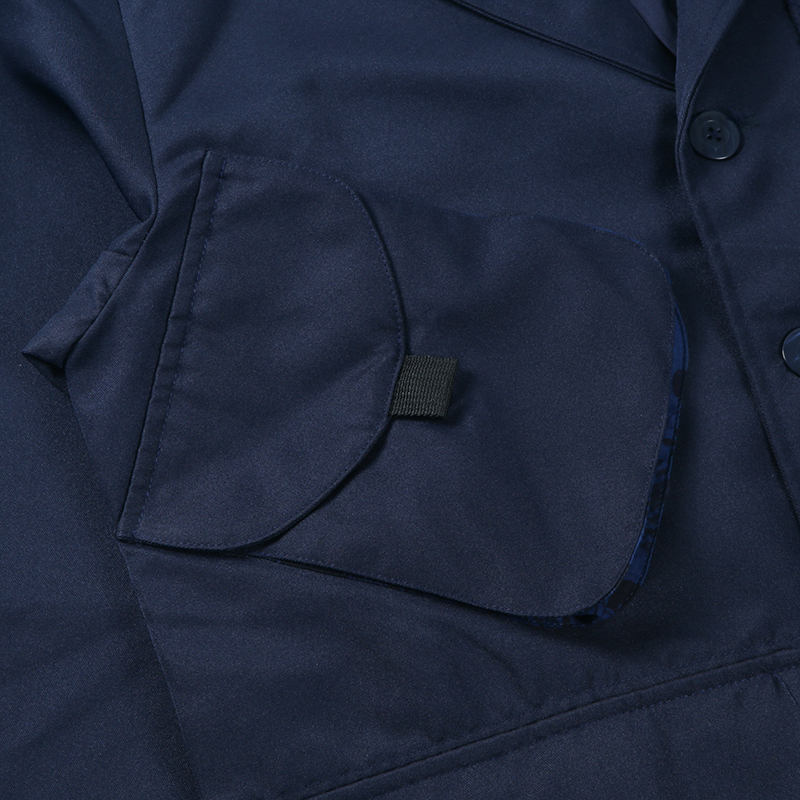 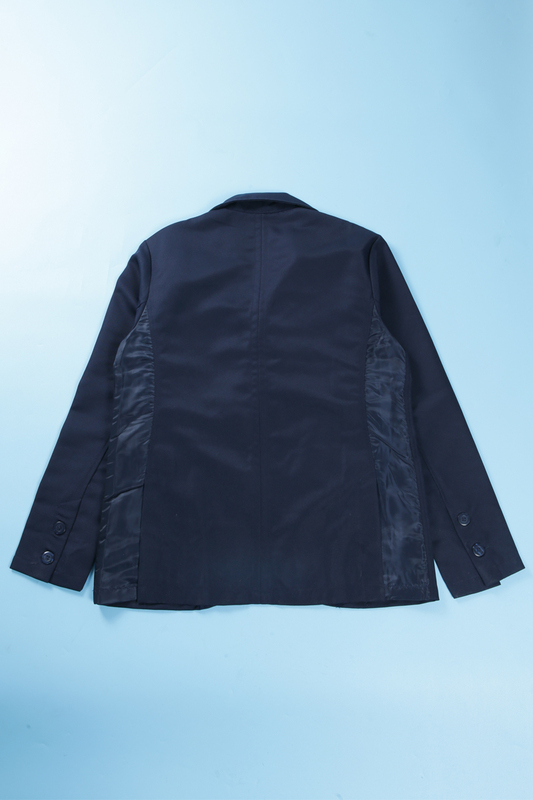 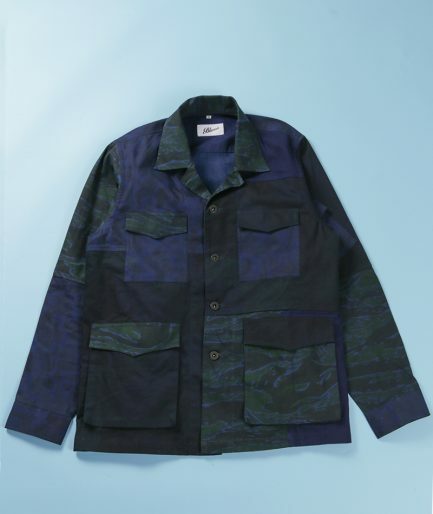 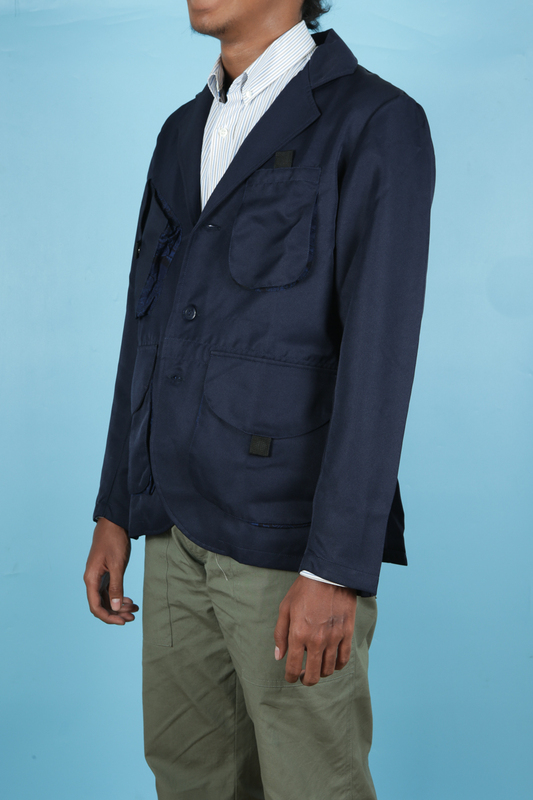 Bluesville’s take on a vintage tailored hunting jacket, imbuing military inspiration for utility purpose. 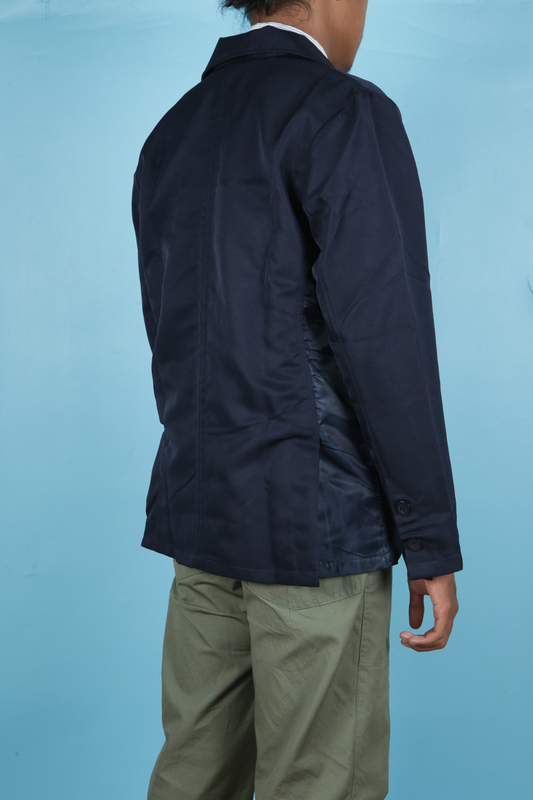 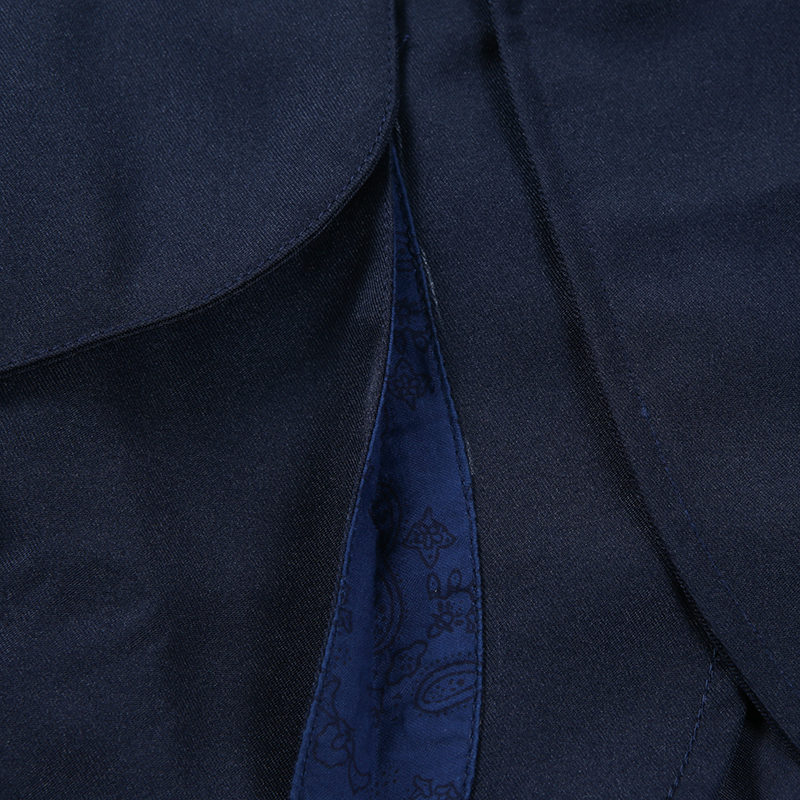 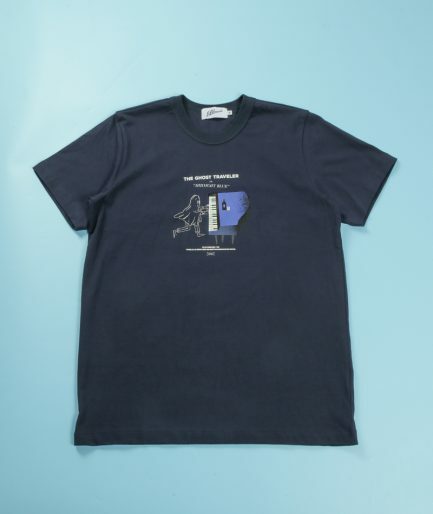 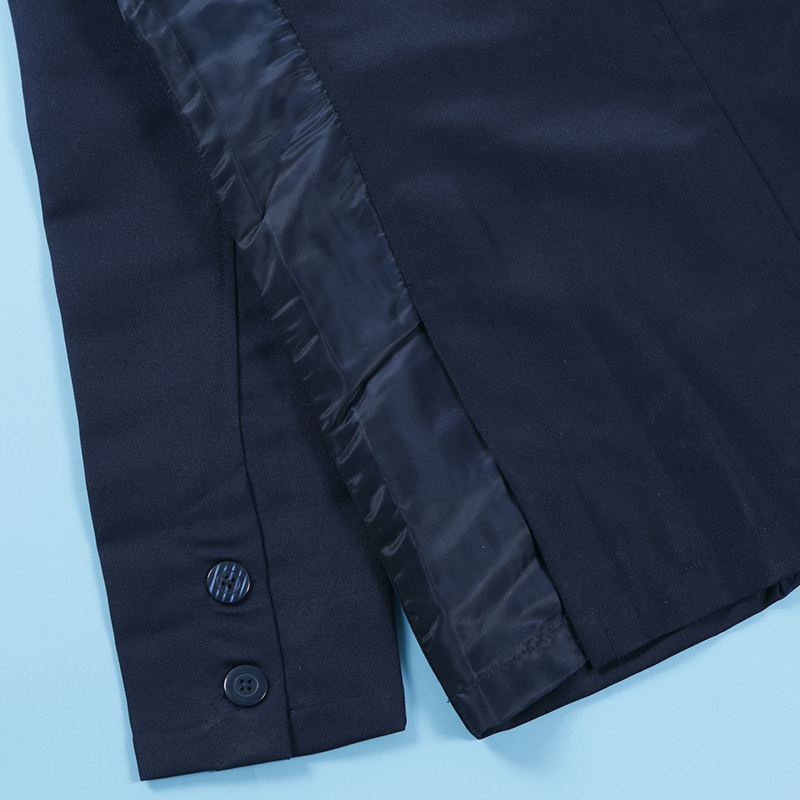 Made from twill fabric and nylon sleevs and pockets. 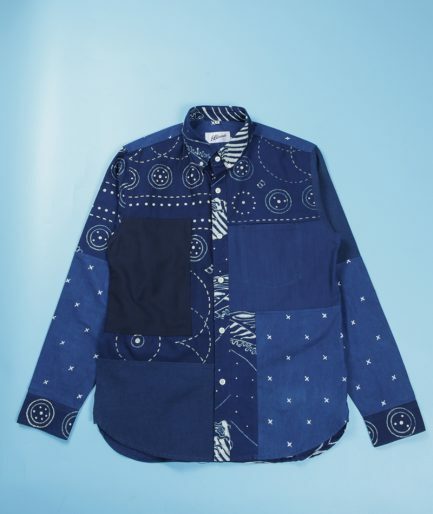 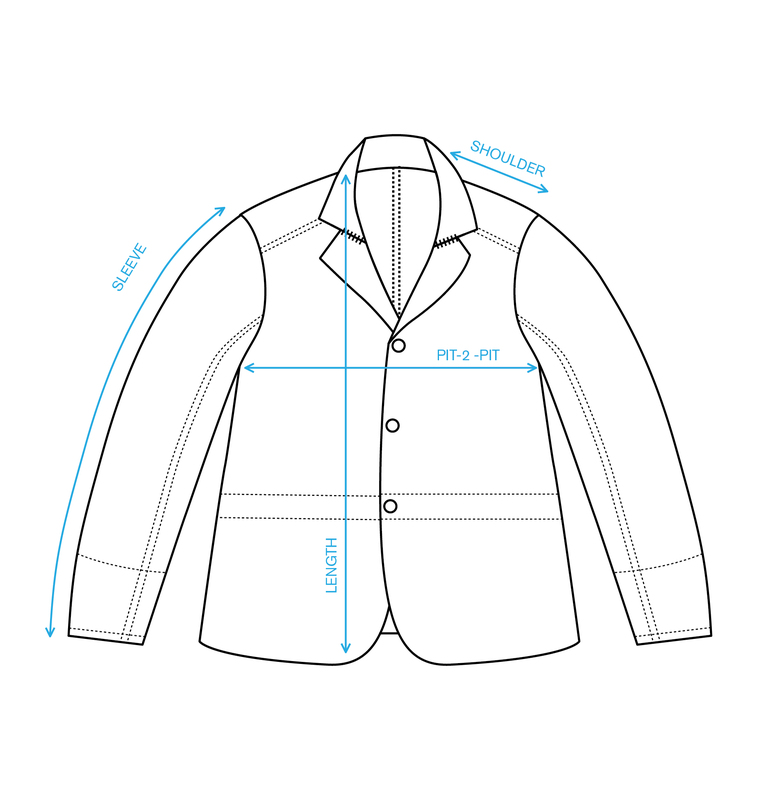 Button up front. 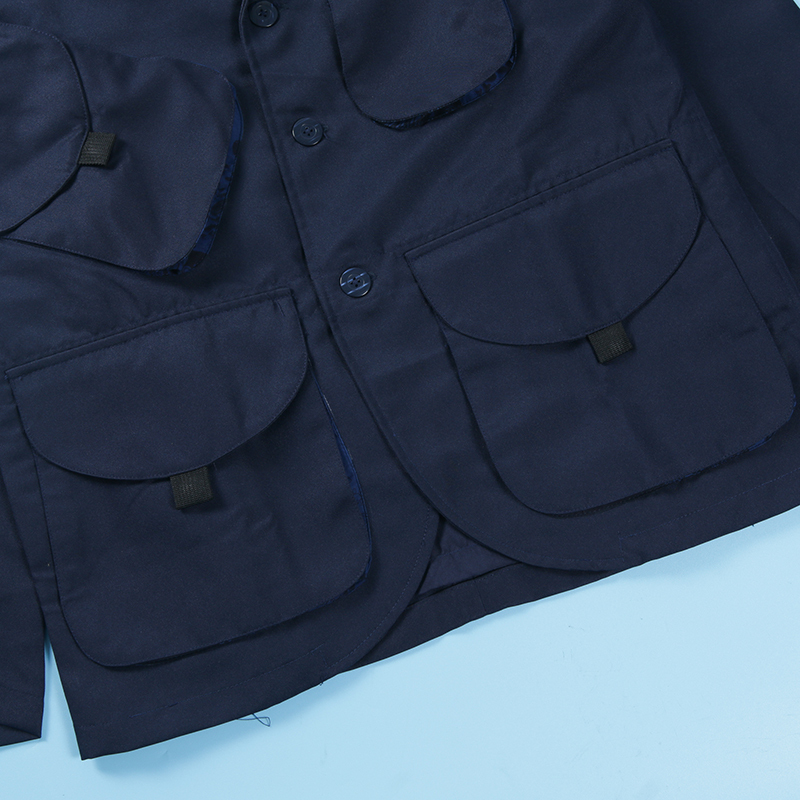 Four utility pockets in front, with bandana print details on each military inspired pockets.